Artist Larah Helayne is the poster child for the Gateway Regional Arts Center's programs. She cut her teeth as a drama student at GRAC an early age. 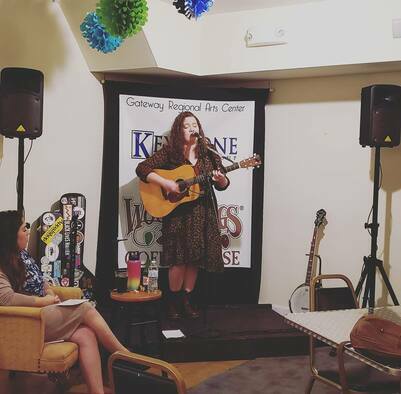 Years later Larah found her love of traditional music through the music of artists performing during GRAC's open-mic nights and Woodsongs Coffee House Hour. Larah made her own Woodsongs debut sharing her original songs and covers much to the delight of her audience. Larah's show on March 28th was the first live broadcast from the GRAC of the Woodsongs series on Pickup Country.